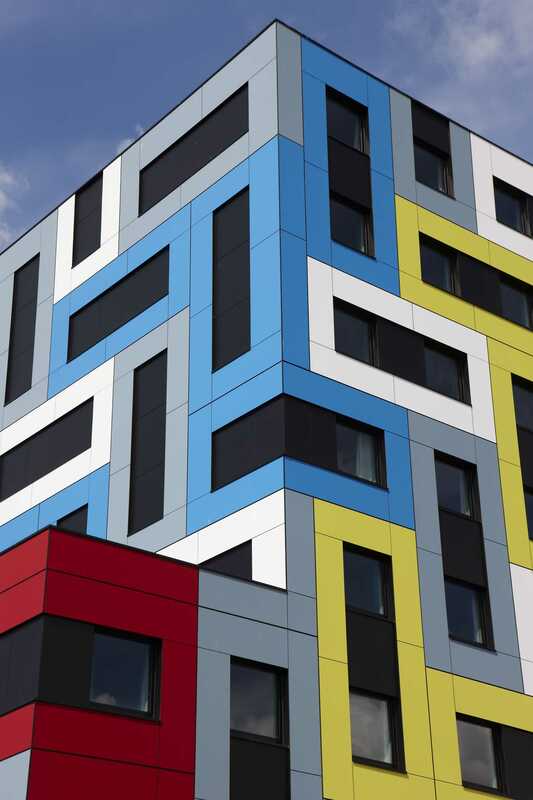 Trespa is recognised internationally as the leading developer of high quality panels for exterior cladding, decorative facades and interior surfaces. With 50 years’ experience in the industry, Trespa’s focus is on product development and combining quality manufacturing with intelligent solutions. Due to its excellent impact resistance, long life and minimal maintenance requirements Trespa is popular across many sectors, including education, commercial, residential and healthcare. 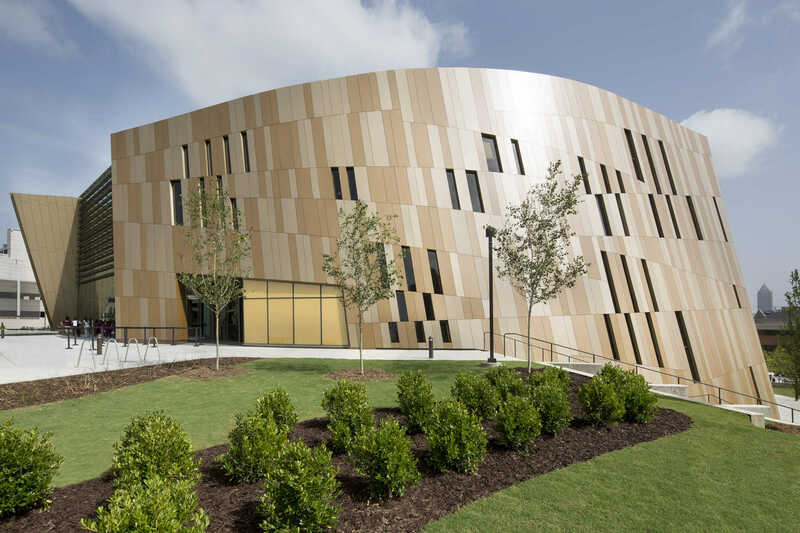 The panels are manufactured using Trespa’s unique in-house technologies, Dry-Forming and Electronic Beam Curing creating a robust and durable product. This means Trespa Meteon stands up to any extreme weather conditions such as sun, rain and moisture. This High Pressure Laminate can used for vertical applications like façade cladding, balcony panelling or can be horizontally in a wide range of other exterior applications. Due to its high quality composition Trespa Meteon can be attached with a secret fix or with screws or rivets. Trespa’s premier product, Trespa Meteon, is a decorative high-pressure compact laminate with a resilient surface. Meteon panels are available in a wide variety of standard colours, effects and finishes. Available Trespa Meteon ranges include: UNI colours, Wood decors, Metallics, Naturals, Lumen and Focus – offering over 100 different colours and finishes. 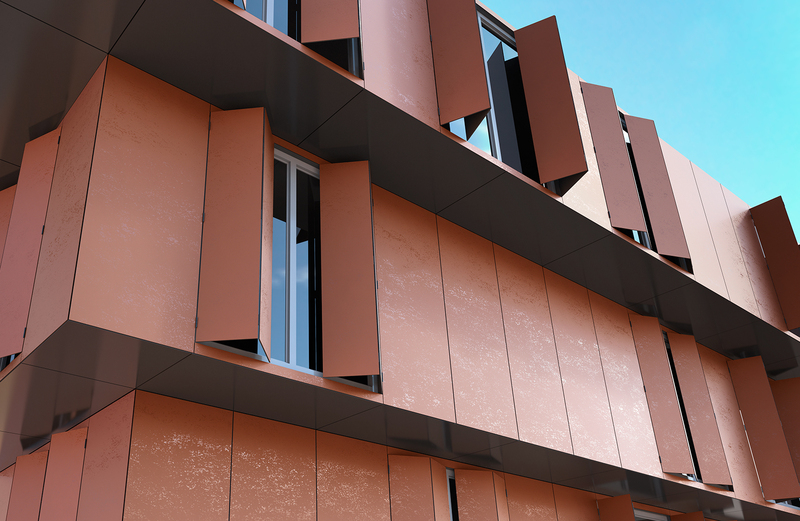 The UNI Colours range offers an expansive range of colours to create an individual and expressive façade. Offering over 60 colour options Trespa UNI Colours can suit almost every need. Custom made special project colours are available upon request. Wood Decors from Trespa create a wood effect without compromising on the longevity or cleaning ability of your façade. In 28 different decors ranging from Bleached Pine to Nordic Black there is a wood décor suitable for any façade. The Metallics ranges beauty and shine is fully experienced when viewing a sample. The panels manipulate natural light to create patterns with reflections. The Trespa Naturals range showcases the natural patterns and light qualities of natural materials. Due to its construction it is suitable for all cladding options, and therefore is a suitable alternative to heavier natural stone facades. Trespa Lumen is focused on manipulating light to create movement across your façade through the different finishes Diffuse, Oblique and Specular available. Focus by Trespa is available in two distinctive designs, Santiago and Brooklyn, using abstract concepts to tell a story. Trespa Pura NFC© (Natural Fibre Core) is made from up to 70% wood based fibres. Available in 16 different Wood Decors and UNI Colours with the ability for special project colours, there is a décor to suit most façade needs. For more information on the Trespa range please contact your local branch.